There are a number of different styles of pilates out there. Some people might tell you one is better than another. I think many of them have pluses and minuses. When it comes to moving the body, one style of pilates is not necessarily better, it’s just different. And one style may work better for different body types. On a most basic level the styles of pilates can be broken down into Classical and Contemporary. 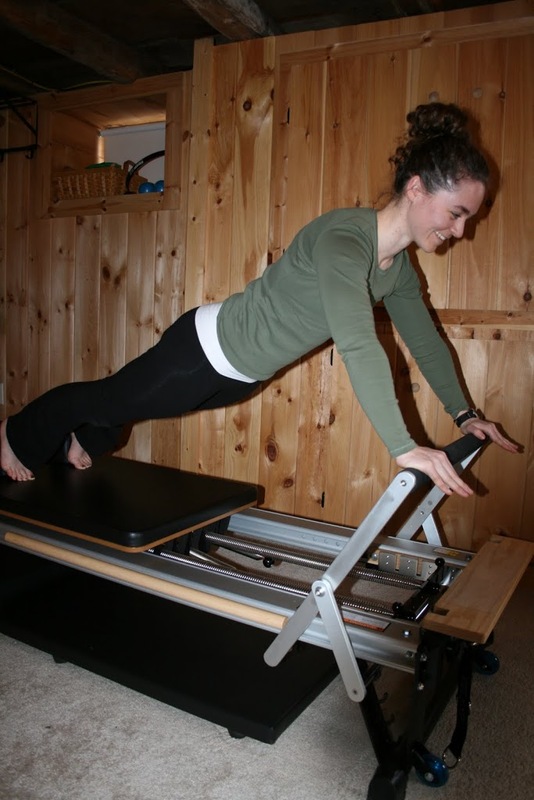 STOTT is one type of contemporary pilates. Full disclosure: I’m certified in STOTT. This does not mean that I think they are always right (in my classes I incorporate things I have learned from the elders and other programs). I do think that if you have a good Instructor Trainer when you go through STOTT’s certification program, you’ll get a very good education. I had a wonderful trainer in my program and I continue to train with her. Mari Winsor was also presenting at the conference. I felt star struck when I saw her. Mari deserves the credit with getting me hooked on pilates. The first pilates I ever did was a Mari Winsor video, and I loved it right away. I still generally prefer her pilates videos to STOTT videos. Her videos move faster, although her style, like Jay Grimes, is different than what I have trained in. I’m okay with that though. On the second day of the conference I took a mat class with Mari. There were about 100 people in attendance. It is pretty cool to have 100 people together doing pilates. Mari didn’t disappoint. She is a hot ticket. More petite than I anticipated, but a little ball of energy with a fabulous sense of humor.